Almost every college student faces a number of challenges from homesickness to juggling finances to meeting deadlines to balancing time for work and play to figuring out what they want to do in life. But for young people whose parents or grandparents never attended college -- first-generation students -- there’s the added uncertainty about what to expect, how to apply, and -- sometimes -- how to pay tuition and fees. Eliana McLish is among those who learned early that things don't always work out as envisioned or planned. She had arranged to attend the University of South Florida more than two years ago. But about a month before her scheduled arrival, her grandfather, who had promised to pay her first year’s tuition, died. She was left without that expected support and a brand new set of challenges. 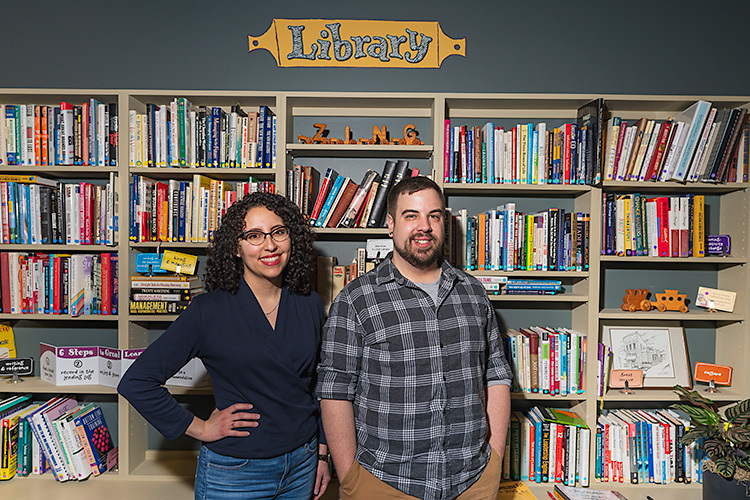 After consulting with her academic advisor, McLish landed at the USF Student Ombuds Office, which provides confidential, independent support to students and parents with concerns about the university. With a small loan from the credit union on campus, she was able to pay tuition, albeit “very, very late,” she says. Schneider says 24 percent of 4,075 first-year students surveyed in 2017 reported neither of their parents attended college. 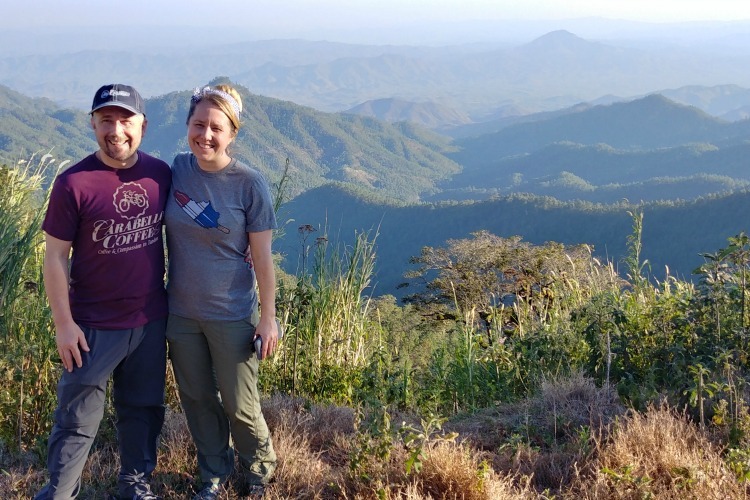 “One of the functions of my office is to really pull together decision makers at the senior level across campus and make accommodations that are not always explicitly available,” Schneider explains. That can involve helping students find work or providing short-term emergency funding. For students like McLish, the help can mean the difference between success and failure. After McLish’s rocky start at USF, the struggle continued. When she was out of a job, she returned to the Student Ombuds Office for more help -- and was referred to an office on campus looking for employees. “For me, the good thing is I only need to cover my tuition. I’m living with an uncle. I pay insurance and my phone bill, that’s it,” she says. Still, it hasn’t been easy. At this point, she believes she has pretty much exhausted her resources. “The most important thing is financial well being, because if I didn’t have a job where I was working 15 to 20 hours ... then I wouldn’t be able to get those loans that keep me going,” she explains. Despite it all, she’s resolute in the path she chose after watching lots of crime shows. Her goal is to attend law school, although she is not sure where -- or how she will pay for it. Twenty-year-old Nancy Garcia, a native of Pahokee, a city on the shores of Lake Okeechobee, translated for her parents as a child. Her parents, Juan and Maria, had migrated from Guanajuato, Mexico before their children were born. They only attended primary school; afterward, they needed to provide for the family or help in the household. Juan, who is now a welder, used to work as a migrant, picking oranges and lettuce. Members of their family still work in agriculture, often driving tractors or trucks for sugarcane farmers. The Garcias didn’t have much incentive to learn English; many people in their small community are Hispanic. Juan works for Cubans, and Maria keeps house. As she got older, she started to see the big difference she could make by translating. She started to enjoy it more, and she developed an interest in education. 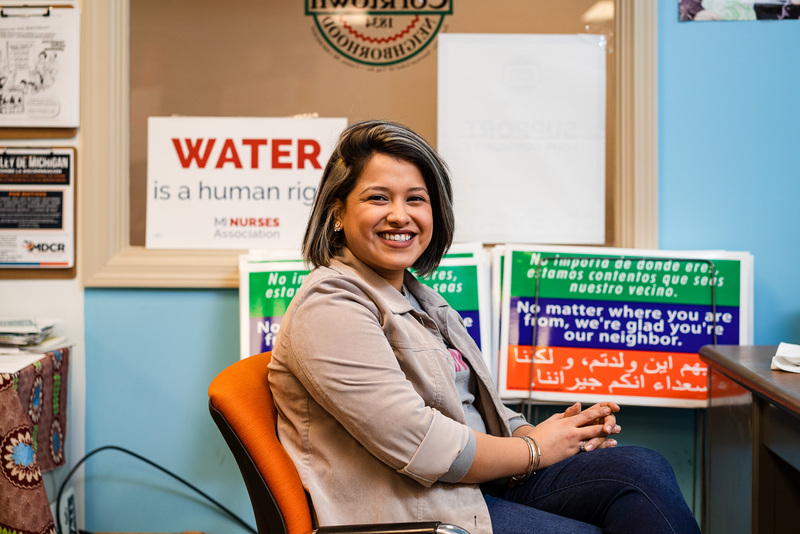 “When me and my siblings were growing up, it was hard for us to be able to complete assignments and homework because my parents did have that language barrier,” she says. “Me and my brother [Jairo] were the first to go to college out of our entire family,” she points out. Jairo, who graduated from USF last May with a bachelor’s degree in electrical engineering, now is working for Florida Power and Light Company in Fort Lauderdale. Their younger sister, Stephanie, plans to come to USF to learn civil engineering next year. What attracted them to USF is the federally funded College Assistance Migrant Program, called CAMP. CAMP gave Garcia an extra layer of support. “If I ever needed a support system, I had people with my same background and interest,” she notes. The program makes it easier for migrant students who struggled when they were pulled out of classes, or who lacked educational support from parents who couldn’t answer questions about their homework or help them apply to college. Garcia has been able to pay for college with scholarships, including Bright Futures, and a federal grant. The aid also has helped cover living expenses; she has supplemented this through summer employment, but she doesn’t work during the school year. “My parents always instilled in us to focus on our education,” she explains. In general, Garcia fits in easily at USF because of its diversity. She feels welcome, but there aren’t very many Hispanics in the education department. “You’re the example of diversity in education,” she notes. Where does Garcia want to go from here? A senior, she plans to continue her studies at USF as a graduate student, and eventually help other migrant families. Jesus Diaz Vera hails from Placetas, Cuba, a town in the center of the Caribbean island. His family moved to Chile in 1999, and immigrated to the United States in 2003 at the urging of relatives already here. 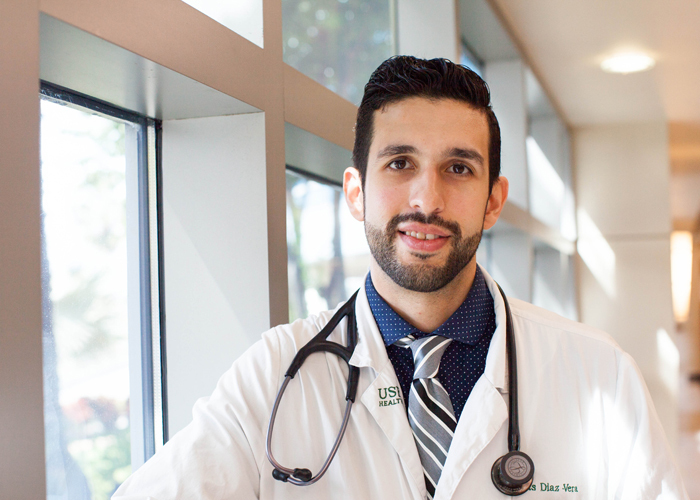 At 27, he is a senior at USF’s Morsani College of Medicine, with plans to become a physician after completing his residency in internal medicine. His parents, Armando Diaz and Griselia Vera, were both agricultural economists in Cuba, jobs they prepared for with certifications. They wanted more for him. In a sense, Diaz Vera wanted to honor his parents by pursuing his dreams and developing his potential, he says. He’s learned to adapt through his various moves, picking up English in 7th grade in Miami, which offered a softer landing for a Cuban who knew no English. He learned American culture was a bit more reserved than he was used to; it wasn’t quite as loud or dramatic. After graduating from high school, he attended Florida International University in Miami, where he developed a passion for chemistry and the development of synthetic drugs. After earning his bachelor’s degree in Chemistry and Biochemistry, he took off a year to work as a tutor and pay off his debts, then enrolled in the USF Morsani College of Medicine. He likes USF’s emphasis on research, which paired well with his background and interests. At USF, he’s connected to multiple research mentors. “They provided me with a lot of resources through the USF scholarly biomedical research concentration,” says Diaz Vera, who is interested in exploring how age affects the risk of atrial fibrillation, a condition where the heart beats abnormally. He received financial aid, the chance to gain clinical skills, and the knowledge that they had his back when it came to any pressing concerns. “It offers you all the resources, and all the benefits, of being in a large well-established, well-known institution without feeling like you’re lost in this massive place where nobody knows each other,” he adds. Like many Americans, Bisma Balouch grew up watching “Friends,” “How I Met Your Mother,” and “Sherlock Holmes.” She read classics like Charles Dickens. But for Balouch, it was more than just entertainment. As a student in an international school in Pakistan, watching English TV and reading English literature were part of a plan to learn English. By age 11 or so, she began speaking the language. That set her on a different path than girls whose language of choice was Urdu, and who placed a priority on marriage rather than education. A Pakistani, Bisma Balouch wants to help women in her country bridge the gender gap.“I come from a society which is very male-dominated. Women have to rely on husbands, brothers and sons to get their things done,” explains Balouch, who is from Karachi, a large city in southern Pakistan. Though there is a pronounced gender gap in Pakistan, Balouch has hope for positive change. Through the late Benazir Bhutto’s selection as the country’s first female prime minister, there is some encouragement that will happen. As an educated woman, Bhutto was a role model. For Balouch, and women like her, the importance of education was underscored. She found USF online and chose it for a number of reasons: its diversity, a scholarship and its reputation as a top business school. With the support of her parents, Khuda Buksh and Zain Lubna, Balouch became the first in her family to attend college. 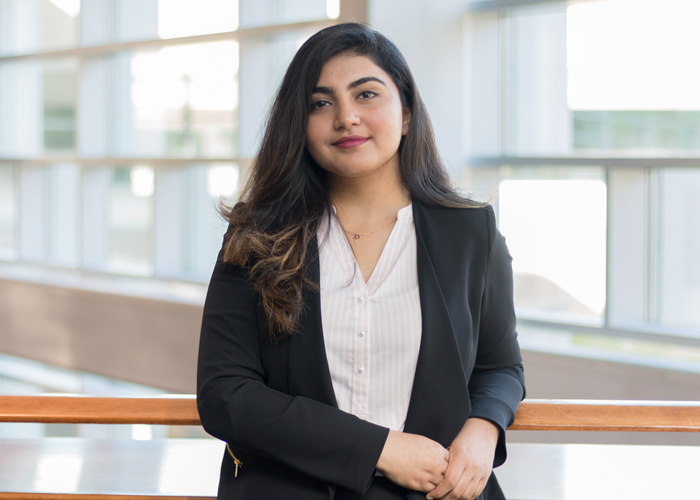 Now a senior, Balouch is majoring in business finance and business analytics and information systems, a combination that already has helped her land a business analyst job with Raymond James and Associates after graduation. Her path hasn’t been without challenges, however. Not everyone at home supported the idea of spending money for her education when the priority in her country is generally marriage for women. Here some question her decision not to wear a hijab, or head covering, although her religion gives her that choice. She’s learned to share her culture and be accepted when people learn who she is, apart from what they read or hear about Muslims in the media. At the business college, Balouch has learned the value of networking. Her mentor, assigned through USF’s Corporate Mentor Program was Tash Elwyn, President and CEO of Raymond James. As an international student, landing an internship or job can be a struggle, she points out. English wasn’t a problem because she attended an international school in Pakistan. At USF she is part of a diverse community where she is free to explore different cultures from people who are from there. She lived on campus initially, but now she has a place off campus as well as her own car. 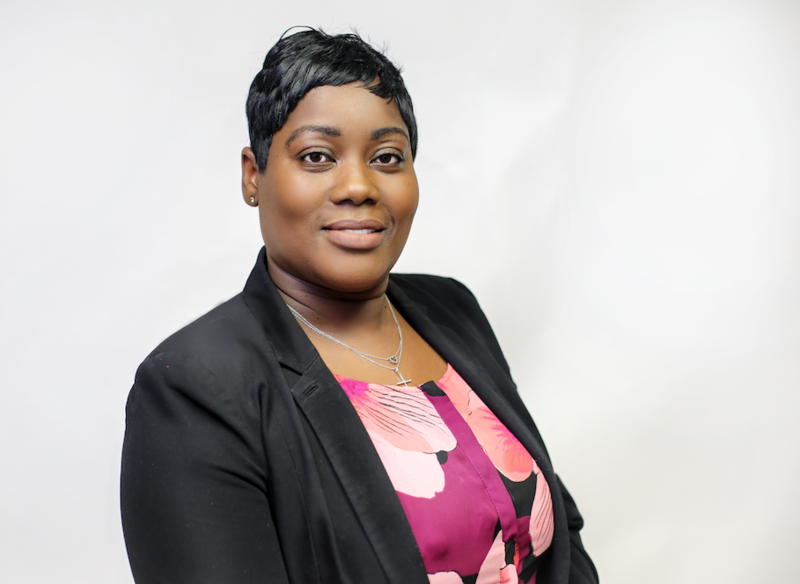 She’s involved in campus organizations, works at Chick-fil-A and has been honored by her selection for the 25 under 25 program, which recognizes exceptional business students under 25 years old for their academic and leadership accomplishments. Balouch plans to return to Pakistan after she has gained some critical, entry-level experience to help empower women there. She says she may build schools or work with nonprofits there working to help women. To learn more about the process and procedures for first-generation college students at USF, read the First-Generation College Student Guide.